In the Ultimate Golden Image Automation Guide I wrote about creating a new Citrix Provisioning vDisk with MCLI command line. But you can of course also do this with PowerShell and there are a lot more commands to use. 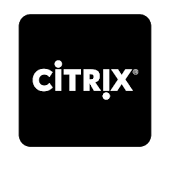 So in this blog I will show the most popular Citrix Provisioning commands in MCLI command line and PowerShell. I hope this will help you to script / automate your deployments and workflow. Because as always, automate EVERYTHING !! The best way to image your target device to a vDisk is of course to use the Base Image Script Framework (BIS-F). This script will seal and image your device. Check it out here. I have some PVS script that i use for several things. I have just created a merge script that are going on the weekend, but there is something that might bo handy. In the gui you can see how many procent that is done in the progress. Is there a way to see this progress somewhere else, i mean som cmd-lets? I have looked everywhere and just cant find anything. Since you can see it, it must be a way to find it. Could it be direct in the database maybe? If you run merge cmd-lets you can see that this will get an unique task id, this task must be found somewhere. Does this work: Get-PvsDiskUpdateStatus -DiskUpdateTaskId or -UpdateTaskId ? A that’s a bummer, have you tried looking trough the guide ? within example number 1 you should get the information how to achieve this. Thanks for the guide Chris. Hopefully some of these can come in handy to complete changes out of hours. For example I have some production servers that all use a vDisk. I want them to boot from a new vDisk in a few days time when I am out of the office. Can I just create a scheduled task to run the powershell script, will it remove the link to the existing vDisk (I’m thinking yes). Would I have to shut these devices down first before the script is run ? Does anyone have a Powershell command to Change the Load Balancing of the vdisk to a specific PVS server? There is none at the moment. You can only set a Pvs server when you create or add a disk. So you could remove the disk from the Pvs server but keep the vhdx and then add it again on the right Pvs server.